Above: Lab Rats completed events A-E. 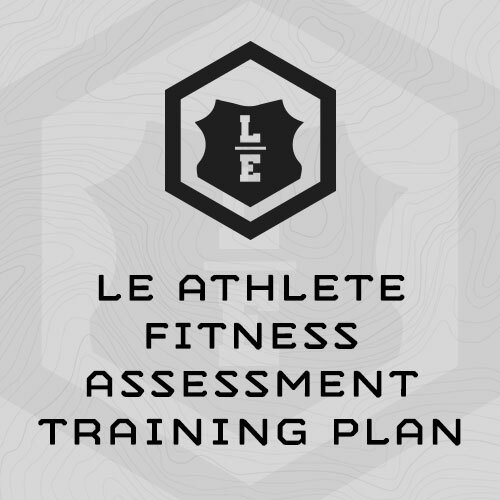 The following is a 3-week, 12-session training plan designed to train specifically for improvement on the LE Athlete Fitness Assessment. You must perform the Assessment 3-5 days prior to beginning this program. This training program uses your initial assessment results for follow-on progressions. This way the program automatically scales to the incoming fitness level of the athlete. (in seconds) by .2904. That’s your Goal Time. working load by 20 pounds and use 35% of scores. (3) 5 Rounds, every 60 sec. done your operator sessions and am going to do your SSD Crossfit program.